Asakawa, K., J. Kojima, J. Muramatsu, T. Takada, K. Kawaguchi and H. Mikada, Current-to-current converter for scientific underwater cable networks, J. of IEEE Oceanic Engineering, in press, 2007. Asakawa, K., T. Yokobiki, T. Goto, K. Furukawa, A. Yamaguchi and K. Tazaki, Power Supply System for Toyohashi Cabled Observatory with Wide Input-range, Proceedings of OCEANS' 06 MTS/IEEE - Boston, 2006. Asakawa, K., T. Goto, K. Mitsuzawa, T. Yokobiki, E. Araki, M. Kinoshita, H. Nakamura, J. Kojima, K. Kawaguchi, H. Kitazato, K. Oguri, H. Yamamoto, K. Fujikura, S. Kuramoto and H. Masago, New Cable Projects in JAMSTEC, 4th Int. Workshop on Scientific Use of Submarine Cables and Related Technologies, 2006. Dogan, T., H.Sumino, K.Nagao and K.Notsu, Release of mantle helium from the forearc region of the Philippine Sea plate subduction, Chem. Geol. 233, 235-248, 2006. Fujimoto, H., Ocean bottom crustal movement observation using GPS/Acoustic system by universities in Japan, J. Geod. Soc. Japan, 52 (4), in press, 2006. Hori, T., A. Araya, S. Moriwaki, and N. Mio, Development of a wavelength-stabilized DBR laser diode to the Cs-D_2 line for field use in accurate geophysical measurements, Rev. Sci. Instrum., in press. 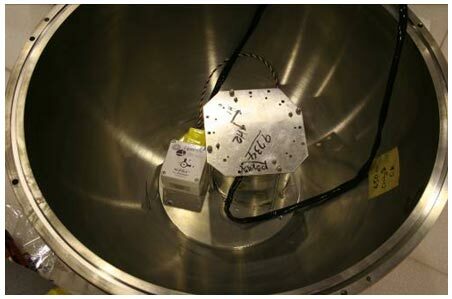 Ikuta, R., Watanabe, T., Soma, T., Yamaoka, K., Kunitomo, K., Feasibility experiment for active monitoring of inter-plate coupling in Tokai region using ACROSS, Eos Trans. AGU, 87(52), Fall Meet. Suppl., Abstract NG51A-1012, 2006. Isse, T., K. Yoshizawa, H. Shiobara, M. Shinohara, K. Nakahigashi, K. Mochizuki, H. Sugioka, D. Suetsugu, S. Oki, T. Kanazawa, K. Suyehiro and Y. Fukao, Three-dimensional shear wave structure beneath the Philippine Sea from land and ocean bottom broadband seismograms, J. Geophys. Res., 111, B06310, doi:10.102, 2006. Kido, M., Fujimoto, H., Miura, S., Osada, Y., Tsuka, K., and Tabei, T., Seafloor displacement at Kumano-nada caused by the 2004 off Kii Peninsula earthquake, detected through repeated GPS/Acoustic surveys, Earth Planet. Space, 58 (7), 911-915, 2006. Matsumoto, K., Sato, T., Fujimoto, H., Tamura, Y., Nishino, M., Hino, R., Higashi, T., and Kanazawa, T., Ocean bottom pressure observation off Sanriku and comparison with ocean tide models, altimetry, and barotropic signals from ocean models, Geophys. Res. Lett., 33, L16602, doi:10.1029/2006GL026706, 2006. Matsumoto, H., H. Mikada, and K. Asakawa, Can the Offshore Cabled Observatory Contribute to Tsunami Warning Systems?, 4th Int. Workshop on Scientific Use of Submarine Cables and Related Technologies, 2006. Mikada, H., T. Watanabe, H. Matsumoto, K. Kawaguchi, K. Mitsuzawa, K. Asakawa, T. Goto, T. Kasaya, R. Otsuka and S. Morita, Seismological Findings Using Real-Time Cabled Observatories, 4th Int. Workshop on Scientific Use of Submarine Cables and Related Technologies, 2006. Osada, Y., Fujimoto, H., Kanazawa, T., Nakao, S., Sakai, S., Miura, S., Hildebrand, J. 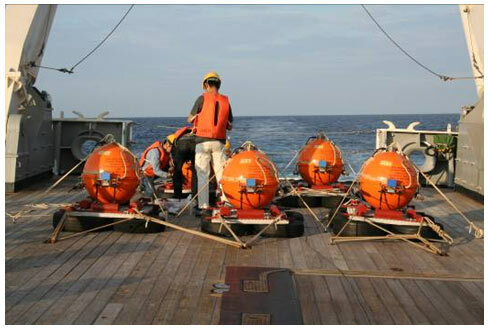 A., and Chadwell, C. D., Development of a GPS/Acoustic seafloor positioning system for 6000 m water depth and its trial experiments at sea, J. Geod. Soc. Japan, 52 (3), 171-182, 2006. 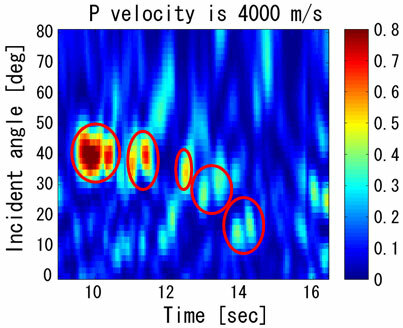 Saiga, A., Yamaoka, K., Kunitomo, T. and Watanabe, T. Continuous observation of seismic wave velocity and apparent velocity using a precise seismic array and ACROSS seismic source, Earth Planets Space, 58, 8, 993-1005, 2006. Shimada, S., and T. Kazakami, Recent dynamic crustal movements in the Tokai Region, Central Japan, observed by GPS measurements, Dynamic Planet, 578-584, 2006. Shinohara, M., E. Araki, T. Kanazawa, K. Suyehiro, M. Mochizuki, T. Yamada, K. Nakahigashi, Y. Kaiho and Y. Fukao, Deep-sea borehole seismological observatories in the western Pacific: temporal variation of seismic noise level and event detection, Annals of Geophysics, 49, 2/3, 625-642, 2006. Suyehiro, K., J. P. Montagner, R. A. Stephen, E. Araki, T. Kanazawa, J. Orcutt, B. Romanowicz, S. Sacks, and M. Shinohara, Ocean seismic observatories, Oceanography, 19, 4, 104-109, 2006. Tadokoro, K., M. Ando, R. Ikuta, T. Okuda, G. M. Besana, S. Sugimoto, and M. Kuno, Observation of Coseismic Seafloor Crustal Deformation due to M7 Class Offshore Earthquakes, Geophys. Res. Lett., 33, 10.1029/2006GL026742, 2006.